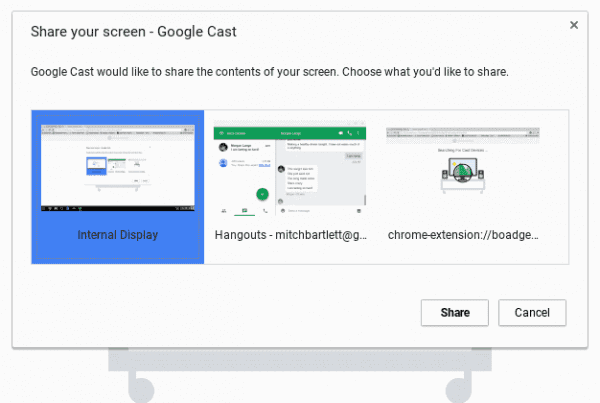 You can easily connect your Chromebook to a TV or projector using one of the methods below. If you wish to go without wires, use this option. Connect an Android TV box or a Google Chromecast to the HDMI port on your TV. Ensure your TV is set to utilize the input the Android TV or Chromecast is connected to. Open the Chrome browser, and choose > “Cast“. If you haven’t already, follow the steps on the screen to setup your Android TV or Chromecast device. Once setup, you will have many options for casting to the TV screen. 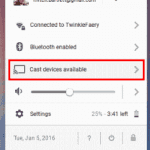 Select the lower-right corner of the bottom bar and choose “Cast devices available” to display the casting options that are available. You can choose “Internal Display” > “Share” to mirror everything on your screen. 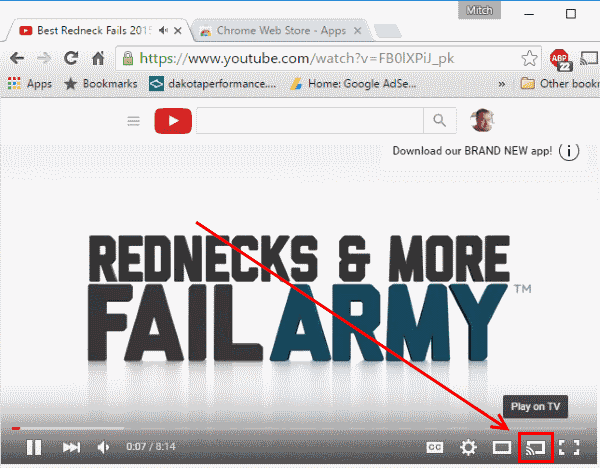 Mirror YouTube videos at high quality by using the “Play on TV” button in the YouTube video menu. Netflix even has a “Cast” icon. Use it for better sound and audio with Netflix. Most Chromebooks will have and HDMI port on the side or back of the unit. Simply use a standard HDMI cable to connect it to your TV, and the display will be mirrored on the TV. Audio will be routed to the TV as well. me too. get mouse pointer, but no app windows. sound and no image. HDMI obviously big problem from Chrome OS.